Two Part Class. Join Deb Tucker certified instructor, Linda Grigsby, to learn the"Fast Flying Geese" technique using the Wing Clipper 1 ruler. 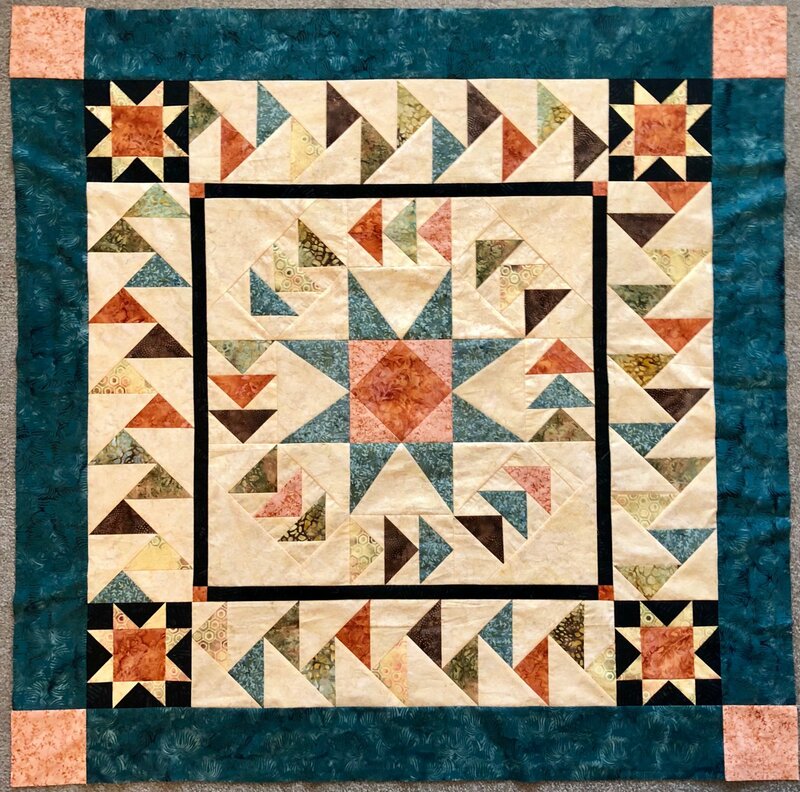 You will also learn "Migrating Geese" for the border and a bit of paper foundation piecing for the star points of this wonderful wall quilt.